Up until a couple of years ago Kale was the leafy green stuff used to garnish plates and platters or decorate salad bars. Or, you might see the curly variety growing as a decorative filler in plant beds. The purple variety is especially attractive. More recently, possibly due to the popularity of the farm to table trend among a lot of restaurants or the rise of Community Supported Agriculture (this is a system in which a farm operation is supported by shareholders within a community who share both the benefits and risks of food production) or the discovery and sharing of its nutritional value by so many “foodies”, kale has become the darling of the vegetable world – move over brussel sprouts! 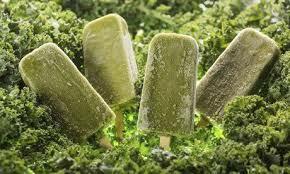 It’s become so popular, there’s even a National Kale Day – the first Wednesday in October which happens to be today! Kale really, is one of the healthiest vegetables on the planet and is a member of the family that includes broccoli, brussel sprouts, collard green and cabbage. A single cup of chopped kale which has 33 calories, has 9% of the daily value of calcium, 206% of Vitamin A, 134% of Vitamin C and 684% of Vitamin K. Additionally, there’s copper, potassium, iron, manganese and phosphorous. It’s rich in antioxidants and full of fiber. So, do you want to try it out? When shopping for kale, look for firm, deeply colored leaves with hardy stems (the leaves can range in color from dark green to purple to deep red). Separate the stems right away to ward off bitterness. Or, if you have a green thumb, you can easily grow it yourself. It’s self-seeding, grows at will, stands up to heat and cold, or can even be planted indoors in pots. Now, what to do with it? Well, it’s not just for smoothies anymore! Although a handful thrown into your favorite meal will definitely enhance the nutritional value. It can be simply braised in water, or apple juice will make it a little sweeter since it tends to be bitter. Make your favorite salad with it or mix with a variety of other greens. Add it to soups, stews and pasta. There are recipes out there for kale omelets, kale lasagna, warm kale salads and even kale brownies and kale and spinach chocolate cupcakes! There are kale chips on the market but lots of people are making their own. Here’s 2 simple tried and true recipes courtesy of Wild Mint Shop.com for a quick and healthy Pasta entrée and our Chef of the Month for March, Chef Jenn Louis’ Kale Bagna Cauda. Prepare pasta according to package directions and set aside. In a large sauté pan, lightly steam kale with 2 Tbs water on medium, cover and steam for 3-5 minutes. Remove kale from pan into a separate bowl. Lower heat in pan to low, melt butter. Add onions, garlic, zucchini, and mushrooms. Sauté until translucent (2-3 minutes). Add nutmeg, salt and steamed kale and sauté until kale has wilted more. Add cooked pasta to pan. Combine veggies with pasta. Turn heat off and add milk, cheeses, and yogurt. Add salt and pepper to taste. Want to learn more? 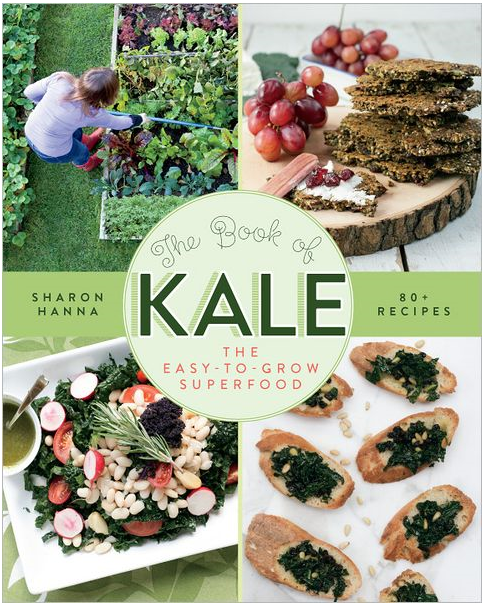 Checkout “The Book of Kale: The Easy –to-Grow Super Food” by Sharon Hanna. What is your favorite Kale dish? How has this superfood benefited you personally?